I love reading about history. I read what I can get my hands on and the history channel is always on my tv. 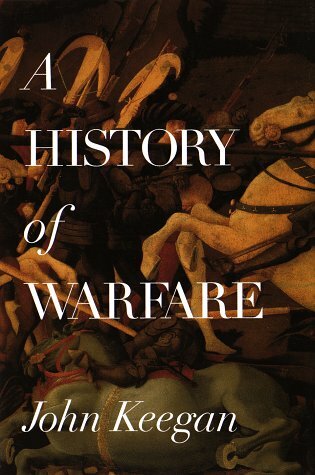 I must admit that John Keenan's book (140 on my list) A History of Warfare really opened up my eyes. Is war inherit to man? An argument (as stated in the book) can be made that slavery was inherit to man and now this is a repulsive notion. Can war also follow suit? As a pacifist, I very much hope so. One of the things I liked most about this book is that it doesn't dwell on the Western world. The Mongols, the Zulus and the Mamluks all get studied. Tactics, outcomes and theories abound in this book. The book was published in 1993 so the first gulf war is covered and discussed. A must read for all the naval gazers out there. Thankyou!! I've been looking for the name of this book to no avail. It is a fascinating subject and a fascinating book.